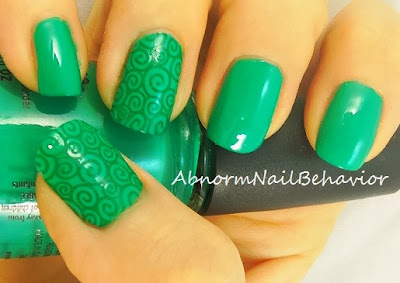 Four Leaf Clover is a beautiful intense green that I absolutely love. It was part of the China Glaze Up & Away collection which had some of my all time favorite creamy pastel polishes. This polish is an easy to work with cream and very opaque. I only had to use two coats and it has a pretty shine even without any top coat. 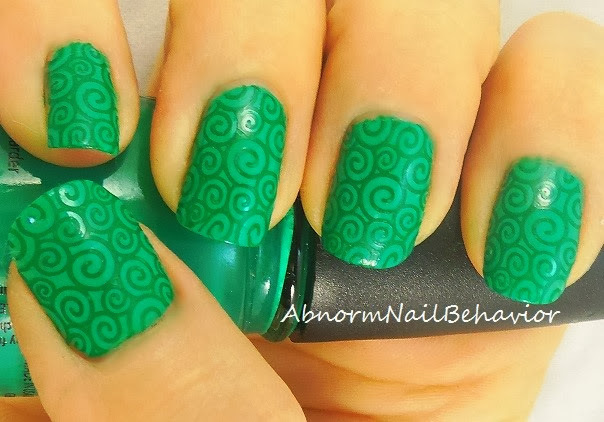 Here I used Konad Special Polish in Green and Cheeky image plate CH52 just to add a little interest. 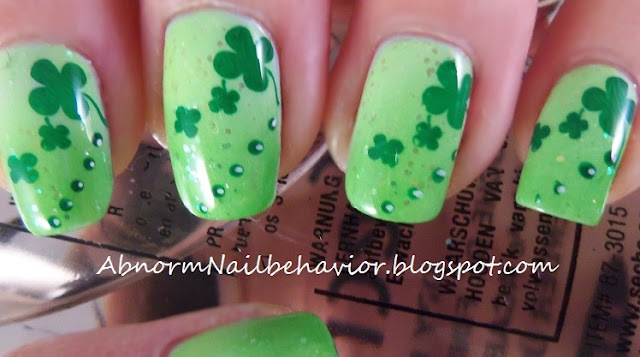 I used Four Leaf Clover in my Rainbow Melt Nails a while back. 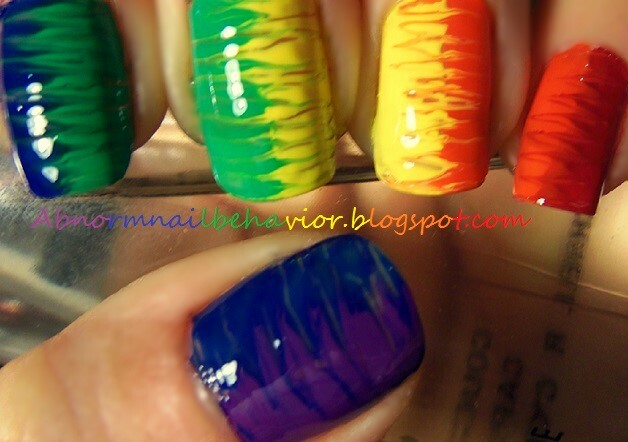 It is the perfect basic crayon box green for rainbow designs. 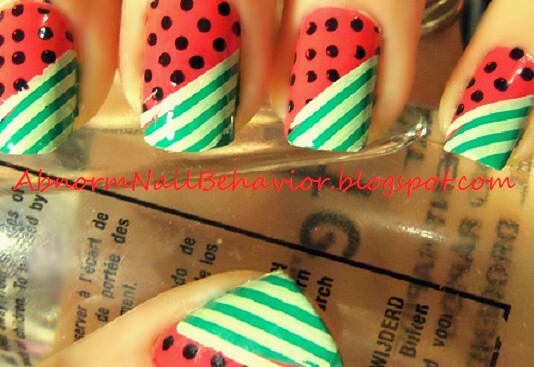 I also think it is the perfect green for watermelon or strawberry nails. It made a small appearance in my Watermelon Remix Nails post. 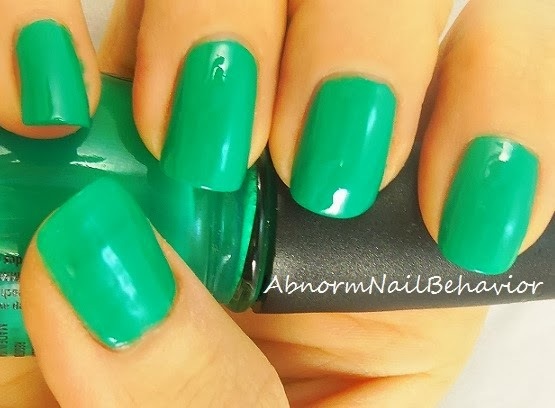 In my opinion if you don't have any green polish in your collection this is a great one to start playing with.